Queens is a very diverse borough and the second most populous in the New York City area. 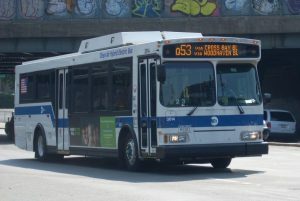 Many buses service Queens including Metropolitan Transportation Authority (MTA) Bus Company vehicles, the New York City Transit Authority (NYCTA) buses, Nassau Inter-County Express (NICE) buses, and various charter and private bus companies. This traffic volume results in accidents involving buses throughout the county of Queens, NY. Experienced Queens bus accident lawyers help individuals recover from their injuries and receive just compensation. Public bus routes and a map can be found on the MTA website. Private bus companies include Greyhound, Peter Pan, Megabus, and many small bus companies operating trips to Atlantic City or Mohegan Sun casinos. stopping the bus near a hole, curb cut, or other defective condition such that a passenger exiting the bus may step into the hazard and become injured. Our law firm blog discussed a Flushing Queens bus crash that killed 3 people and injured 17. The accident happened near Northern Boulevard and Main St. in the Flushing neighborhood of Queens County. The cause of this bus accident was poor bus maintenance specifically a broken speedometer which was stuck at 60 m.p.h. Our law firm has a pending case against Dahlia Bus for a 2016 bus accident. Our clients are Queens residents who were passengers on a Dahlia Bus traveling to the Mohegan Sun Casino. The case is pending in Supreme Court of the State of New York Queens County. After the fatal September 2017 crash, news articles explored Dahlia’s history of accidents and poor maintenance. Before going on a bus trip a passenger can research a bus company’s history of violations here using an App called SaferBus. Bus companies that transport passengers across state lines are regulated by the Federal Motor Vehicle Carrier Safety Act (FMCSA) and accompanying federal regulations. MCMS reports for the past 90 days prior to accident. Schedule 4014 – current published schedule detailing scheduled stops. There are many other vital pieces of information including photographs and documentary evidence that should be requested. Our firm requests over one hundred (100) items. It is also crucial to follow up on the requests until a meaningful response is provided by the defendant bus company. Very often the defense lawyers hired to represent the bus company will simply object or state they do not have the information demanded. A strong plaintiff’s attorney representing a seriously injured individual against a bus company must demand the discovery in writing and exhaust all good faith efforts. If this still does not yield a substantive response, a motion should be made to have the court compel production of discovery. This type of diligent follow through to very important as the comprehensive discovery demands often yield damaging information about the the bus company’s safety practices. This discovery is very helpful for an injured person to win on the issue of liability at trial. Queens County had the third highest number of crashes in New York in 2016 according to statistical data from the DMV affiliated site. In 2016, there were over 21,000 crashes in Queens County with 14,690 personal injuries and 59 fatal injuries. The number of crashes and injuries increased in 2017. 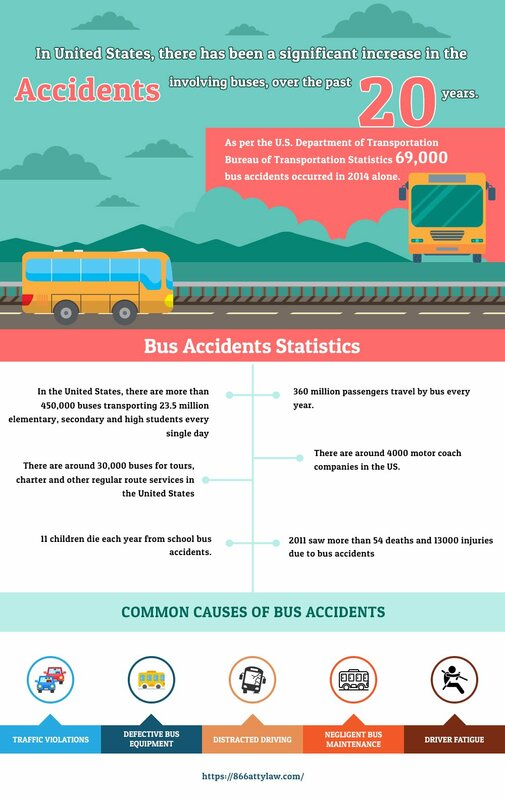 Whether a bus is involved in an accident with a passenger vehicle, a pedestrian, or a bicycle, the resulting injuries are often very serious due to the size and weight of the bus causing tremendous impact and force. According to a recent article, a typical New York City Transit bus weights 31,000 pounds as a curb weight. Passenger weight that a bus can hold increases the weight up to 60,000 pounds. This is a tremendous amount of force even when traveling at low speeds like 25 mph. The totality of all of the types of damages above can result in very significant compensation to the injured plaintiff if all aspects are properly pled and proven with the use of experts. One way to prove liability against a bus company is to ask the bus driver at his or her deposition about their training including any classes they took, manuals they have to abide by in the course of their job, as well as driving or maintenance regulations with respect to the bus they operate. Once the bus driver establishes there are rules, regulations, and or guidelines in place the driver will of course agree that the regulations must be followed. Having a deep understanding of the applicable rules, regulations, laws, and guidelines will allow the lawyer representing an injured victim to show the bus driver violated the very rules he himself said were so important to follow. This is powerful evidence in front of a jury. Always make sure others can see your vehicle. Use your signals. Now if a bus driver testifies at a deposition that his conduct failed to abide by the above five rules that conduct is more likely to be deemed negligent conduct by a jury. Negligence is the lack of ordinary or reasonable care. Someone who violates a well known industry standard like the Smith System which has been around since 1952 is more likely to be negligent. F&A Bus Accident Attorneys maintain an office in Queens, NY at 100-09 Metropolitan Avenue in Forest Hills to cater to all types of personal injury matters. Our firm specializes in truck and bus accidents having settled numerous bus accident cases for significant results. Just recently our firm settled a case where a private bus rear ended a car in Manhattan. Although damage to both vehicles was minor, we were able to achieve a result of $550,000.00 on behalf of our client. In another case, our client was a passenger on a NYCTA bus which was sideswiped and rear ended by a box truck. We coordinated the client’s medical care and she needed a spinal fusion surgery. Our firm also worked with experts including an economist to project lost earnings, medical expenses, and other economic damages. The matter settled at a mediation for $1.2 million dollars. If you or someone you know was injured in a bus accident, contact our law firm at (212) 222-1111 or toll free at (866) ATTY – LAW to immediately be connected with our office. You can also fill out the contact us form on our website. The Queens Bus Accident Lawyers at the F&A Injury Law Firm help clients throughout Queens County in many different neighborhoods including: Astoria, Ditmars, Long Island City, Hunters Point, Sunnyside, Woodside, Bayside, Bellerose, College Point, Flushing, Douglaston, Kew Gardens, Floral Park, Fresh Meadows, Little Neck, Whitestone, Corona, Maspeth, Middle Village, Rego Park, Forest Hills, Ridgewood, Wyckoff Heights, Cambria Heights, Jamaica, Hollis, Laurelton, Queens Village, Rosedale, Saint Albans, Springfield Gardens, South Jamaica, Warnerville, Howard Beach, Ozone Park, Richmond Hill, Woodhaven, the Rockaways, and others.